I’m a straight-up, bona fide church girl at heart. Raised in a hand-clapping, foot-stomping, tongue-talking Holy Ghost filled church and household. I’ve heard many spirit-filled, mightily spoken prayers over the years and I’ve concluded that there’s a fine art to corporate prayer. However, I have no desire to pray in front of a bunch of people and try to sound deep and ultra-spiritual. My desire is to have a personal, one-on-one conversation with God. Although, I’ve learned that praying was essential to being a good Christian and having a relationship with God, no one ever took the time to carefully teach me how to pray. Perhaps the assumption was that I would catch on by watching others do it. Negative. I’ve always been the kind of person that like rules and guidelines. When praying, I was always at a loss about what to say. Should I just ask him for what I want? How should I start my prayer? Do I have to sound extra deep like the old folk in church do? Since, I didn’t know what to say, I would struggle with praying. I thought of it as a chore or something to be done only when I wanted something or desperate for God’s attention to…do something NOW. I’m sure that God has similar feelings when you approach his throne and just start shouting requests or even begging and pouting when you do get what you want when you want it. You didn’t even butter Him up and let Him know how good and wonderful He is. He’s already done so many astounding and miraculous things, yet you haven’t even acknowledged that. Would you give more to child that’s not grateful for what you’ve already done? Heck naw! Unless you’re gullible like that, you wouldn’t either. We catch God’s attention when we praise Him. In fact, Psalms 22:3 says that God inhabits in the midst of our praise. God has plenty of things to pay attention to and handle, but when we praise him, we immediately grab His attention prompting him come to see what we need. He stays around for a while…he’s dwells. You’ll know when he comes because you can actually sense His presence. You’ll feel an overwhelming rush of joy and love. A few tears may even trickle down your face. When you praise God, you’ll also remind yourself of how wonderful He is and that you have the great privilege of communicating with the almighty God! Now, I have to thank God for continuing to bless me even when I came to Him the wrong way. I’ll admit that I came only asking for things. Lord, please bless me with a new job! Lord, please bless me with a new car! Lord, please bless me with that new purse! Lord, PLEASE bless me with that husband! Bless me! Bless me! Bless me! It was all about me. I just didn’t know any better. Later on, I realized that if I desired to possess a real, meaningful relationship with God, I must communicate with Him effectively. As with any relationship, good communication is key. Lord, I praise you because you are my redeemer. You are Jehovah Shalom, my peace in the midst of a storm. You are omnipotent! You are most powerful! Those type of statements would please God and make you excited as well. It’s a pleasure to praise God’s holy name. Check out the links below for more information about developing your praise vocabulary. Confession is all about telling God what you’ve done wrong and asking for forgiveness. God is faithful to forgive. He even forgives us over and over again. (Matthew 18:21-22) He already know what you did, but you need to acknowledge it and bring it to the forefront. 1 John 1:9 says that if we confess what we’ve done wrong, God will forgive and cleanse us from all unrighteousness. It’s similar to when you’re in a relationship with a man (or woman) that was caught cheating. You’re already aware of his cheating indiscretions, but you still want him to confess and admit it. I need to hear it from the horse’s mouth! Sorry for the cliché…I had to do it! Now…God in His infinite love and wisdom will forgive. But err… ummm…God is still working on me with that! After you confess, sincerely ask GOD for forgiveness and seriously try not do it again. We’re not perfect beings and He already knows that. Like my Pastor says, we’re not going to be sinless, but we should be sinning less. Be determined to live according to God’s Word. God may be a forgiving, but He is also just. Make a conscious effort not to do it again because repeated offenses soon brings judgments. At this point, you’ve had a nice, quality conversation with God, told Him how good He is, thanked him, and got some issues off your chest. Now, you can ask Him for what you desire. He wants us to ask Him and keep on asking. It says it in His Word…Matthew 7:7-12. Ask Him and follow it up with faith. Know without a doubt that He’s able to grant you what you request of Him. Timing, however, is a different story. Depending on what you request, God will fulfill in His own timing and when you’re absolutely ready for it. Oh trust ad believe, I’m still holding on and waiting for God to come through on a few things. Although I’m waiting, I’m not worried because He’ll eventually release what I’ve been asking for. Notice that I said “release”. He already has what you want in His possession, He’s just waiting for the right time to give it to you. The earth is the Lord’s and the fullness thereof. Psalm 24:1 According to Matthew 21:22, you must approach God with faith….ask, then believe wholeheartedly. You can’t please God without faith, that’s a requirement. This is also the time to pray for others such as your family, friends, pastor, church, country, etc. Intercede on behalf of others. So, many people are experiencing difficult times and they just need you to agree in the spirit with them to pray for their breakthrough. Don’t be selfish and focus only on yourself. God is so powerful that he can bless everybody at the same darn time! Hopefully, this post has been helpful to you. It sure did bless and edified me as I was writing it. Do you have a different way to pray? Sound off! Give your suggestions, thoughts, comments… We’re all helpful to one another! Beautifully written about such a great friend we have in God. I’m going to incorporate many of these recommendations. Thanks so much! 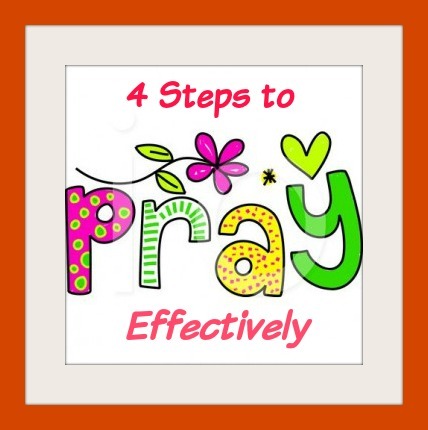 Yes, try out these tips and lets us know how they improved your prayer life. Being able to communicate with God is so important. Great post, Jo-Anne! Knowing how to pray is so important. Even when we don’t know what to pray for, trust that the Holy Spirit will intercede for us.